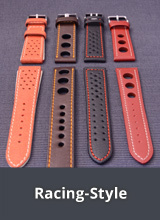 Vegetable Tanned Watch Straps - Here you will find watch straps made out of a special type of leather which has been naturally tanned using a traditional method, or modern and innovative production technique, such as vegetable tanning or a similar technique. 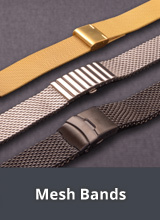 These leather watch straps are recommended for watch enthusiasts looking for a watch strap with a somewhat natural aesthetic. 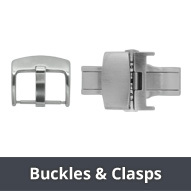 More details can be found in the individual product descriptions. 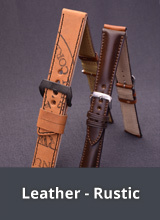 The information regarding the leather, used in the product descriptions originates from the manufacturers themselves. 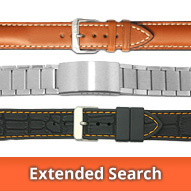 For naturally tanned leather watch straps in irregular lug widths, please click on the following categories. 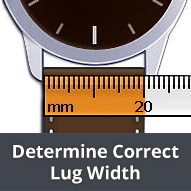 More watch straps with special sizes can be found under "Uneven Lug Width"! 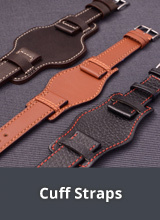 PLEASE NOTE: In some cases, watch straps made of vegetable tanned leather can fade, or in certain circumstances bleed their colour onto the skin or clothing. 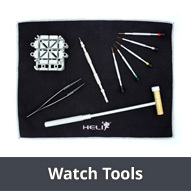 This is because so few chemical products are used in the manufacturing process. 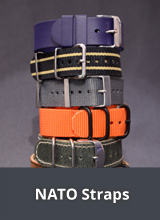 For some colours and leather types, a harmless synthetic dye is required, as natural dyes are not always economically viable.